Nearly a decade since a newly banded group calling themselves “Mardukite Chamberlains” received “inspiration” to incite a global ritual meditation working for the Mardukite “2009 Beltane Gate” observed by hundreds of participants around the world who had discovered the Mardukite brand of “esoterica” during its first year of inception (originally founded on the 2008 Summer Solstice) as directed by prodigious mystic and prolific underground occult writer, Joshua Free, called “Nabu” by members of the Mardukite Research Organization (first known in the 1990’s as “Merlyn Stone”). You can read more about the original Mardukite 2009 Beltane Gate ritual and the first blogpost regarding the upcoming Mardukite 2019 Beltane Gate synchronized global ritual meditation working HERE at our sister-site from the recent NecroGate Blog. More details regarding the new upcoming event will be posted on the sites as we get closer to the witching hour. All interested Truth Seekers may participate remotely from their own remote locations or together with others, also allowing the nature of the observance to fit personal taste and still contribute harmonically to the mass-consciousness energy of others! The evening of April 30 (May’s Eve) is considered the potentially most powerful time for Gate-workings from “our” side. Annually it appears opposite the more famous Samhain/Halloween threshold, and practitioners of the tradition continue to hold meditative (internal) and ceremonial (ritualized) Star Gate workings on this night. The “key” to the Dimensions opens daily when the “Great Bear hangs from its tail…” but it appears to be most significant at Beltane when it occurs just before the midnight threshold. For example, Beltane 2009 on APRIL 30 was the sixth day of the moon and the Gate opened at approximately 11:30 PM. 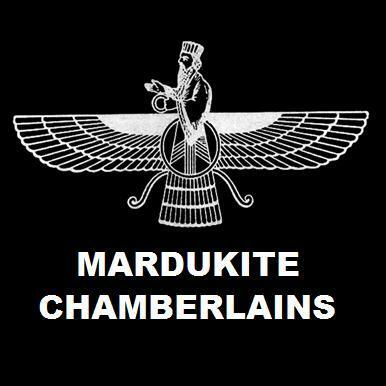 Mardukite Ministries, later known as the Mardukite Chamberlains [Ordo Nabu Maerdechai] supports modern “Mardukites”—those who acknowledge a living tradition composed of a belief in the existence and contribution of the ANUNNAKI, working in a tradition based on the writings of NABU, the prophet-scribe and son of the Babylonian figure named MARDUK, who is hailed as “Lord of the Earth” by Babylonian accounts. Babylonian cuneiform tablets depict MARDUK as a major contributor toward the creation and raising of humans and particularly the “Race of Marduk” (“Mardukites”) and perhaps farther, the work done by the “Sons of God” to fragment this existence from the Source, as was done by systematic design. Contrary to other ANUNNAKI, MARDUK seeks to free mankind from the slavery that has kept us from the truth of the human origins and living conditions on Earth. The purpose of the Mardukite Chamberlains is to prepare the “House of MARDUK” or “Bond-Heaven-Earth” [DUR.AN.KI] which is equal to as and with “Self,” “Earth” and “Universe,” All-as-One. 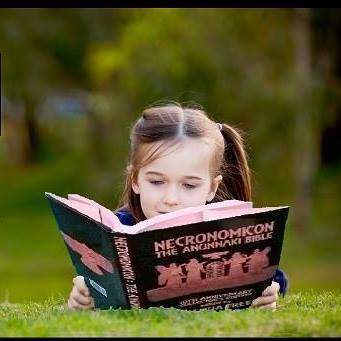 This includes practical processes of self-realization as well as dramatic ritual magic, but only that which exists from the point of self-honesty in commitment and service and not simply for the attainment of mundane pursuits, and towards the realization of a New Babylon—Heaven on Earth. LESS THAN 9 DAYS REMAIN TO CLAIM YOUR OWN! The Anunnaki Tarot : Limited Edition Deluxe Babylonian Oracle Set, by Joshua Free & Kyra Kaos – available only on Kickstarter during this limited time crowdfunding campaign ENDS ON APRIL 7 2019! Don’t miss this amazing opportunity to own a piece of Mardukite history with this amazing personal tool of spiritual technology, numbered and signed!